The State of Washington is home to some of the country’s coolest cities. Seattle, Tacoma, Spokane and Vancouver are just a few. Head to Seattle, where you will find a variety of major art venues such as Seattle Art Museum (SAM), Frye Art Museum, Chihuly Garden and Glass, and Olympic Sculpture Park. In Tacoma, digital art studios dot the landscape along with top museums such as Tacoma Art Museum. Even smaller cities such as Bellingham—the last major city before the Washington coastline meets the Canadian border, and Redmond (population 59,285) have something to offer. The Arts Commission, The Downtown Art Walk, and the Whatcom Museum are popular Bellingham attractions, while the Redmond Arts Commission features theatrical productions in the park, concerts at City Hall, and more than 100 public art displays by local and regional artists. Back in Seattle, the Seattle Film Office and Washington Film Works have continued to work hard to keep productions of all kinds happy, and coming back. Incentives and tax breaks are just a few advantages the State offers filmmakers. 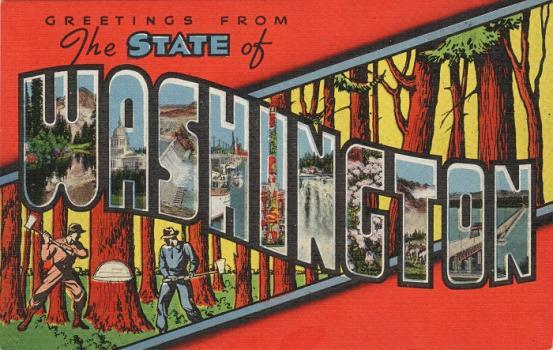 In addition to enough pull to attract productions such as The Hunt for Red October (1990), Austin Powers: The Spy Who Shagged Me (1999), The Ring (2002), Outsourced (2006), and 10 Things I Hate About You (1999), Washington is home to a variety of bustling animation studios that routinely hire promising graduates. Just a few include none other than Pixar Animation Studios (Seattle), Starfire Animation and Visual Effects (Seattle), and Straightface Studios (Seattle), and Run Studios (Kirkland). Washington is also home to hundreds of creative agencies and PR firms as well as more than 800 technology companies that may offer opportunities for animators. The state is also home to a variety of schools that are eager to train the next generation of animators. Just a few include Washington Institute of Technology in Kirkland and Digipen Institute of Technology in Redmond. Washington State is home to 43,500 professionals working in Arts, Design, Entertainment, Sports, and Media (ADESM) occupations, up from 42,240 in 2013. They average $52,930 per year down slightly from $53,290 in 2013, according to the Bureau of Labor Statistics (BLS). Animators and multimedia artists belong to this category and they average $75,740 per year, up from $68,480 in 2013. The state is home to 1,970 salaried animators and multimedia artists, down from 2,530 in 2013. Across the nation, employment for animators and multimedia artists is expected to increase six percent for the 2012-2022 decade. Although the population has decreased since 2013, Washington still has the nation’s third highest employment level in this occupation, and the second highest average salary for animators in the U.S. Other states with the highest employment levels for animators and multimedia artists are California, New York, Texas and Georgia. Of the nation’s top 10 metro areas for animators and multimedia artists, the Seattle-Bellevue-Everett, WA Metropolitan Division has the third highest employment level in this occupation. It is also number six on the list of top 10 highest paying metro areas, with an average annual salary of $76,210. As discussed, Washington is home to a number of cities that have a lot to offer animators and other artists. Seattle, Spokane, Tacoma, Vancouver, Bellevue, Kent, Everett, and Renton are the largest. Redmond, Bothell, Kirkland, Olympia, and Kennewick are just a few other options. Washington Institute of Technology, Kirkland - AAS in Digital Gaming and Media, and Video and Motion Graphics. Both programs cover 3D Animation.